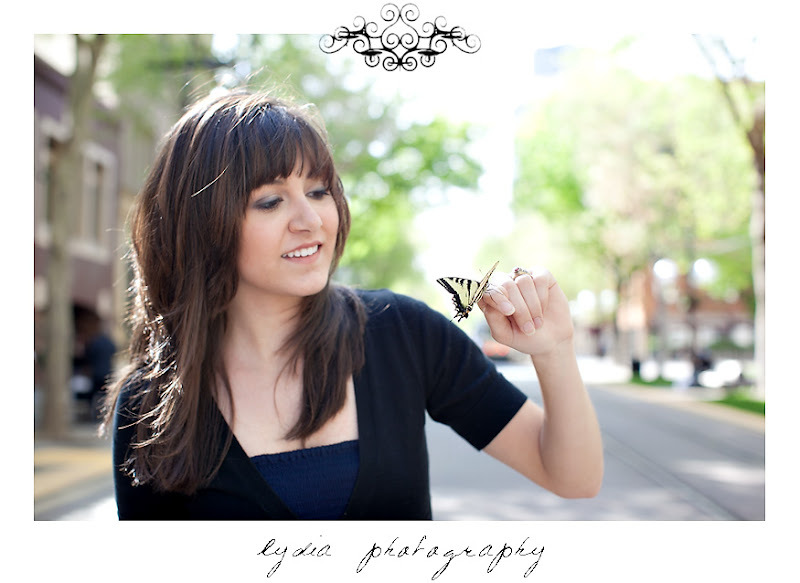 If I believed in luck, I would attribute the success our of amazing senior portrait session to the beautiful butterfly we found at the beginning of our shoot. As it is, credit must go to Victoria and her family of stylists! 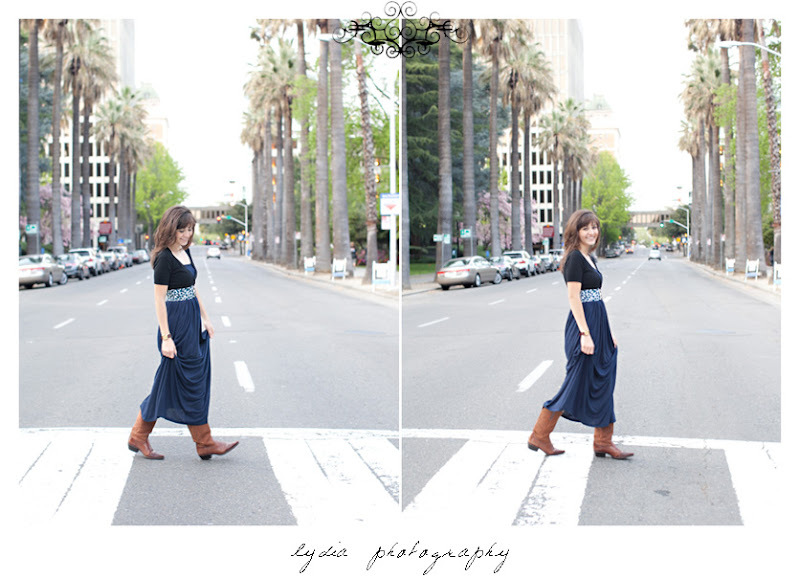 We headed to downtown Sacramento yesterday for a fun evening along K Street and the Capital Park. From cell phone conversations in Spanish, a group of guys filming a movie, and cute squirrels, the distractions were many and close together. But Victoria just laughed, swung the hair out of her eyes, and struck another pose. Vic, thanks so much for being willing to get out in public and try new things! 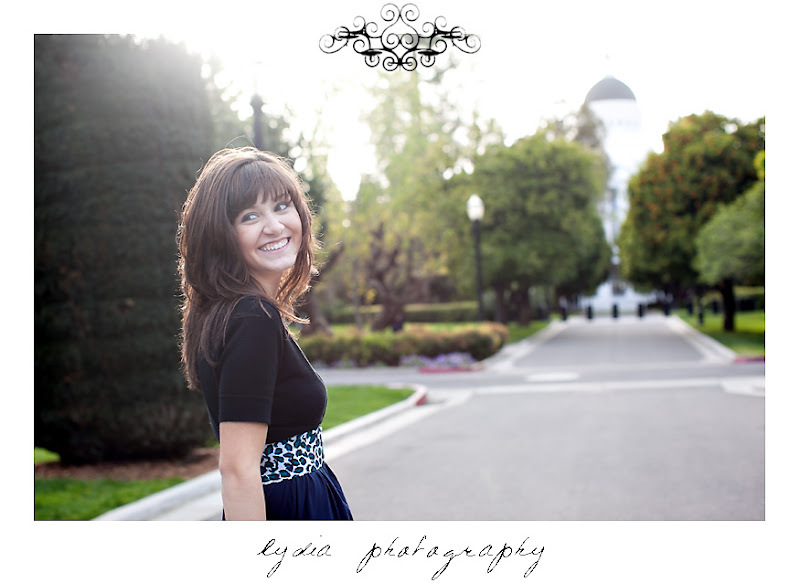 Your poise and laid back attitude combined with your natural beauty--inside and outside--makes you one special girl! 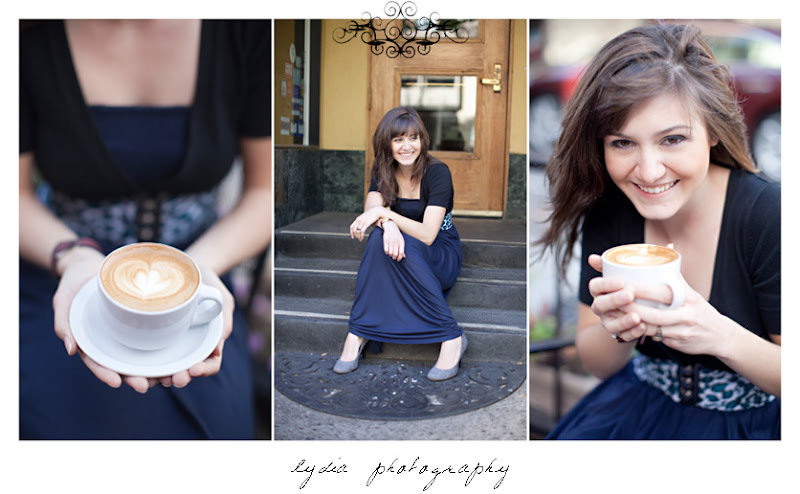 Yep, this girl is a true 2011 senior complete with a cup of coffee in hand from Sacramento's best, Temple Coffee. Victoria did a great job at personalizing her session by bringing along flowers, her favorite cowboy boots, and other items to make sure her pictures were a true reflection of the girl inside! 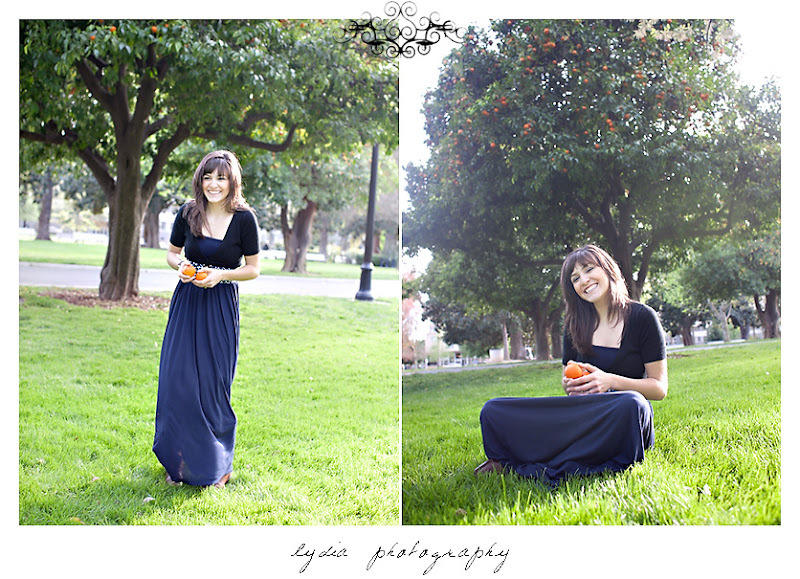 Capital Park is beautiful this time of year with the flowers starting to bloom and the orange trees loaded with fruit! 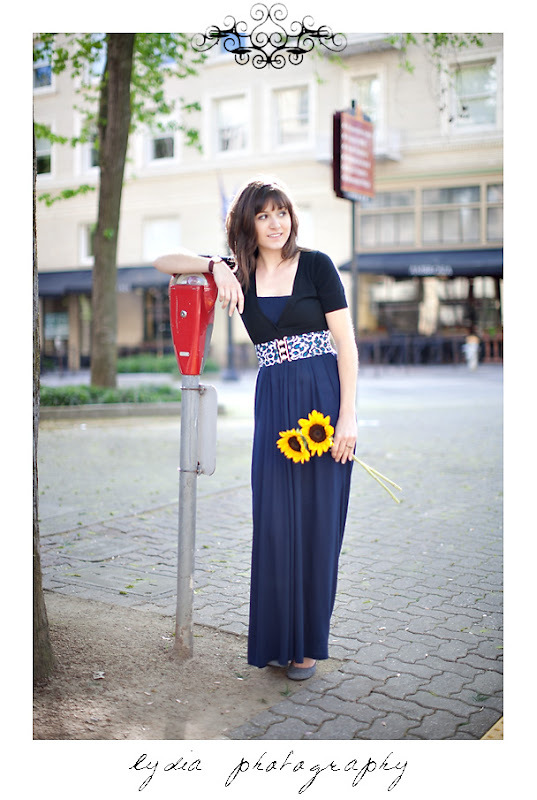 I love downtown Sac! 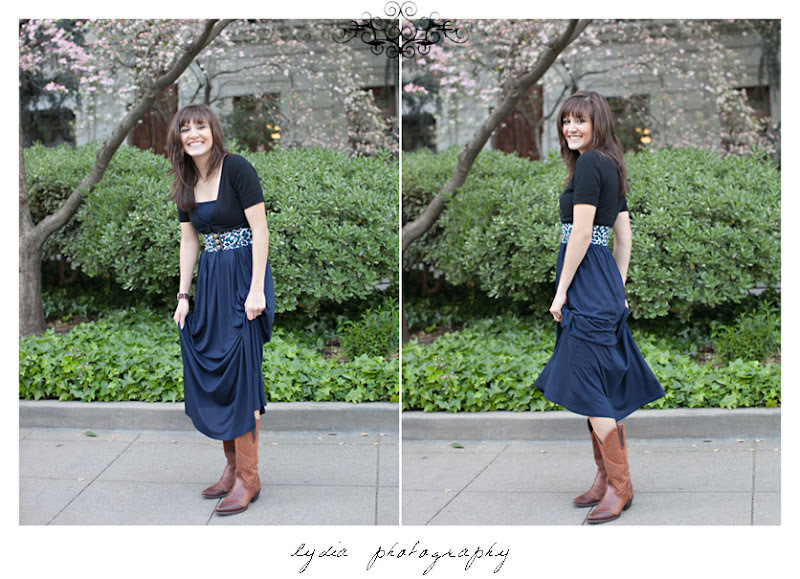 Victoria looks so fun and I love the cute photos, Lydia! Hi Lydia, hi from a fellow photog from New Jersey! Love this session and i love your about me... hehe seems like we have a lot in common! Love the downtown look! So inspiring.....fun, fun, fun. A beautiful girl and a great smile! @Jordan The belt came with a blouse from JCPenney, and though it's hard to tell, the shoes are gray heels from Payless.